Hello and welcome to the brand new DOS Game Club! We're very excited to launch this thing and hope you are too. So, what's this all about? In DOS Game Club, each month we select a DOS game to play during that month. It's like a book club, where everyone is reading the same book to discuss it afterwards, except with DOS games instead of books. And instead of waiting until the end of the month, you can discuss the game the whole time right here on the forums of our amazing website. At the end of the month, we'll record a roundtable discussion podcast with a few of the members, to wrap up what our thoughts are on this particular game we've been playing. We'll talk about what people have been saying on the forums and include our own thoughts and opinions on how well the game has aged, if it's still fun to play, etc. To kick it all off, Florian and Tijn have recorded an introductory podcast in which we explain the concept a bit further. You can listen to that right now! 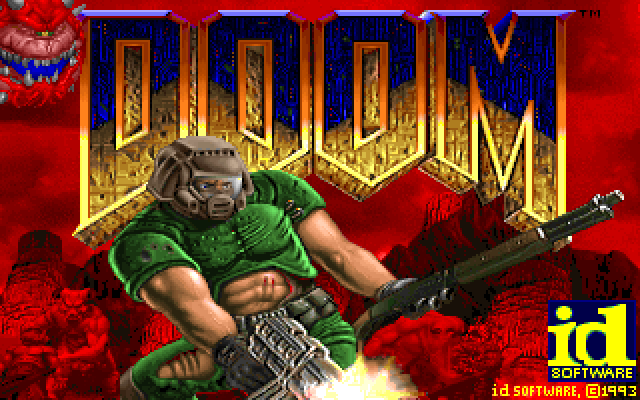 Now, without further ado, we're announcing the very first game we're going to play in DOS Game Club, which is 1993's classic mega hit by id Software: DOOM. We felt DOS Game Club should start with a bang, and Doom is sure to deliver that. We're starting the club right now, so for the entire month of March we'll be playing Doom. If you're interested in taking part, please register an account and join the discussion on the forums. By the end of March, we'll record our very first podcast in which we'll gather our thoughts about Doom and announce the next game for next month. That's it for now! Thank you for reading and we hope to see you around.